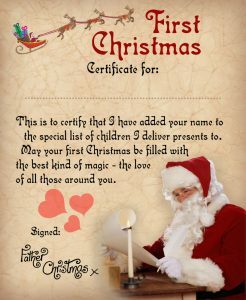 Magic to print for your child! We hope you enjoy our collection of free printable Santa certificates. 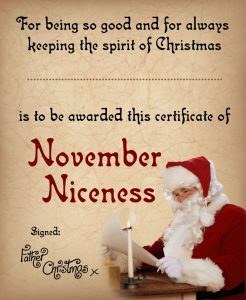 We try to create new ones whenever we have time. 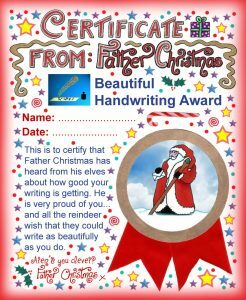 You can either print the certificate of your choice and write your child’s name on by hand, or look for the editable PDF buttons if you’d rather type. 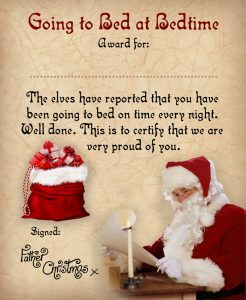 You might like to know that our most popular Santa certificate so far is You’re on the Nice List and a close second are those for good behaviour – both the white background and old-fashioned style. 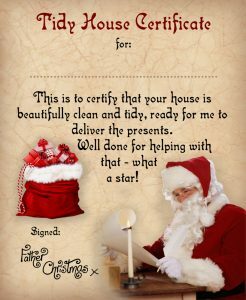 Our own personal favourite is the Before Christmas Tidy House Certificate, because we always try and have a bit of a clear round as a family before the special day, and the thought that they might get a certificate from Santa ahead of Christmas encourages little helping hands. 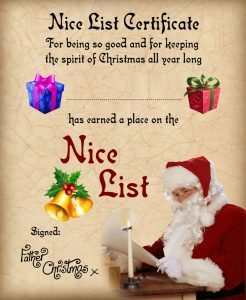 Less popular but still lovely is our First Christmas Certificate, which if you know someone with a new baby, makes a sweet gift for their memory chest. 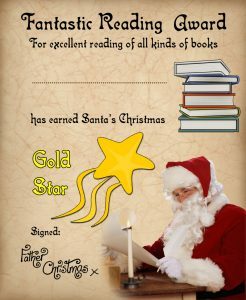 Whichever certificate you choose, if you want to type on it, rather than write with a pen, make sure you scroll right down to the download button underneath each one, because it will take you to an editable pdf. 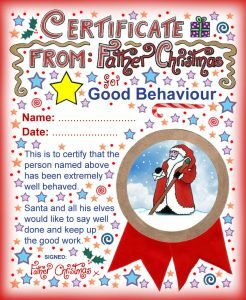 If you want to print a pattern on the back of your certificate, you could use one of our printable letter backs. It’s worth it if you’re going to fold or roll it up and tie it with a ribbon, for that truly authentic look. 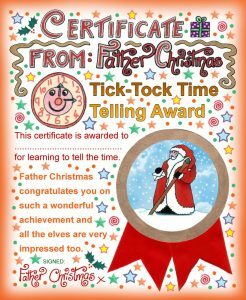 Please remember that you’re welcome to print our certificates for your own personal use but they should not be used commercially. 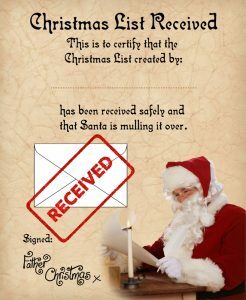 You can find more copyright info here. If you like our Santa certificates, you might also want to have a look at our Tooth Fairy certificates, which are popular throughout the year.